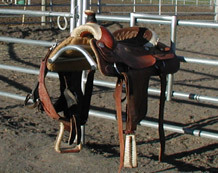 We build Freestanding, Wall Mount, and Panel Mount Saddle Racks. Designed and built for superior strength and a long lasting finish. 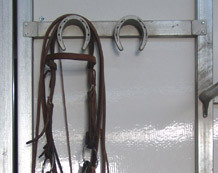 Noble Panels builds both Wall Mount and Panel Mount Bridle Racks. Available in different sizes to accomodate your needs. 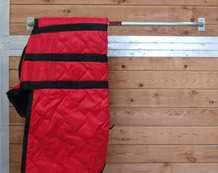 We manufacture Blanket Bars that can be mounted to any flat surface. 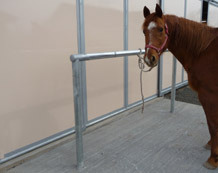 Heavy duty Hitching Posts come in standard sizes or can be custom made to your specifications. 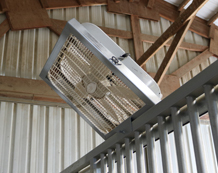 Box Fan Frames are easy to install and provide a great way to keep the air moving in your stalls.